Saturday February 2, 2019-Makueni Governor, Prof Kivutha Kibwana, has said he has cut ties with Wiper Democratic Movement and he is no longer the party’s interim chairman. Addressing residents at Kwa Kathoka during a public participation forum on the county budget on Friday, the governor declared the end of his “political marriage” with Kalonzo. “You are the people who requested me to work with Wiper party, but I want to inform you that it is no longer tenable,” he said. Alluding to Kamba marital divorce practice, Kibwana said the Wiper party should give a divorce sheep to Makueni residents. In Kamba tradition, when a wife divorces her husband, she is required to surrender a black sheep to symbolise the end of the union. Kibwana, who has been interim Wiper chairman, a position he held for one year, is unhappy that his call for party elections have gone unheeded. He told his co-ordinators to be ready for any eventuality should Kalonzo revoke his party nomination certificate opening room for a governor’s by-election in the county. 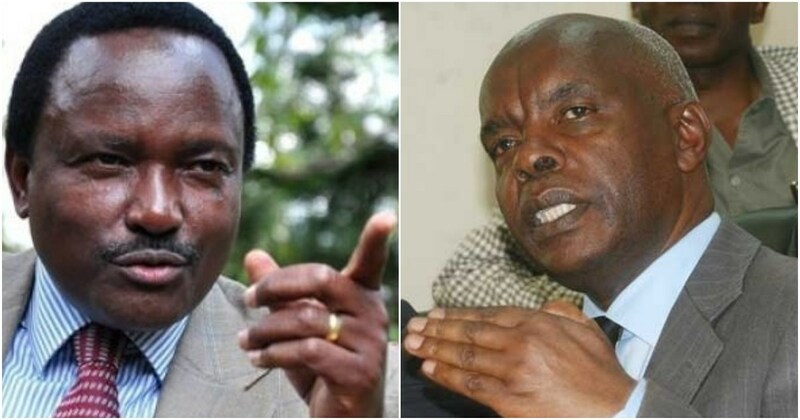 Kibwana accused Kalonzo of sidelining him in the negotiations in his new-found political arrangements with President Uhuru Kenyatta and Jubilee party following the March 9, 2018 handshake between Uhuru and NASA leader Raila Odinga.